JR Kyushu Hotel Blossom Shinjuku is a mid-range tourist and business hotel located a stone’s throw from Shinjuku Station. 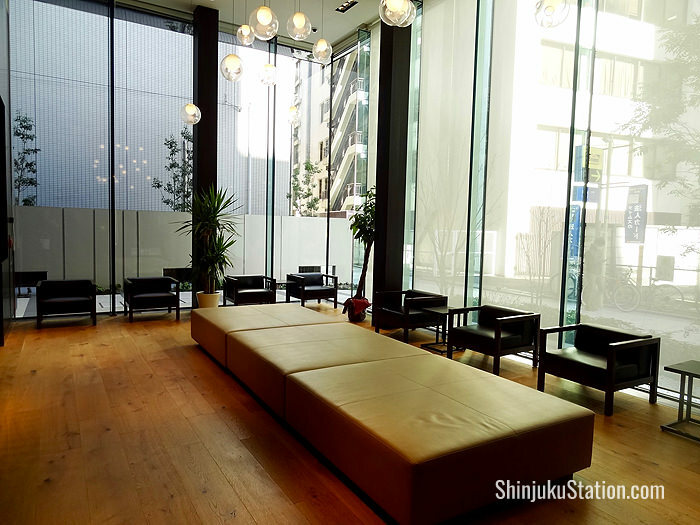 Opened in 2014, it’s one of the newest hotels in the Shinjuku area and the only one operated by JR Kyushu, a railway company in southern Japan. The Blossom Shinjuku is about a three-minute walk from the South Exit of Station. 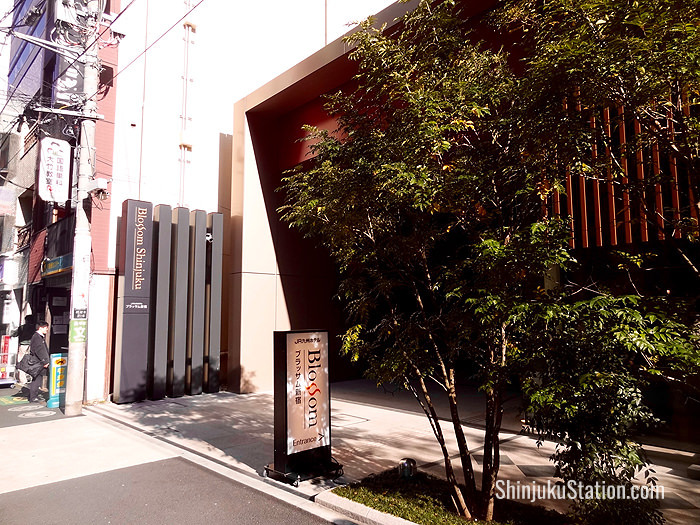 It stands southwest of the station on a relatively quiet side street off the Koshu-kaido thoroughfare. 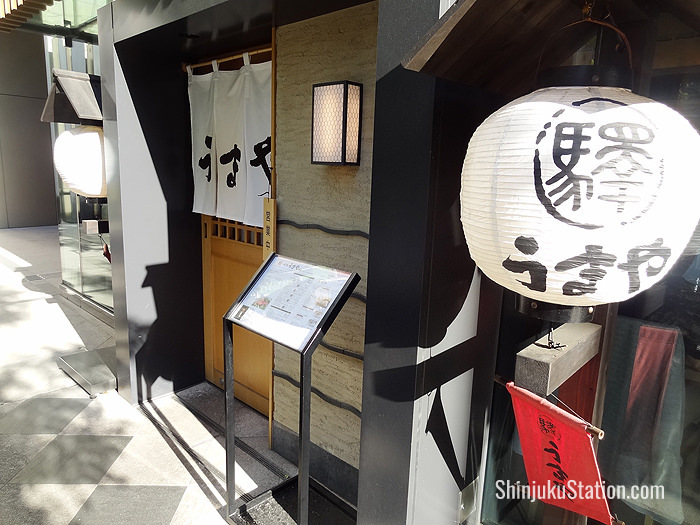 The neighborhood is full of retail outlets, such as Yodobashi Camera, and the Lumine, Keio and Odakyu department stores, as well as a plethora of restaurants, cafes, pubs and bars. 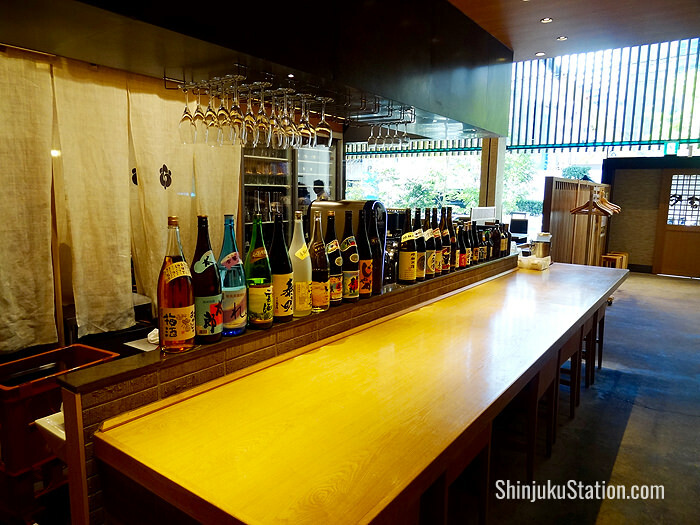 The Blossom Shinjuku has a décor theme that makes ample use of wood. 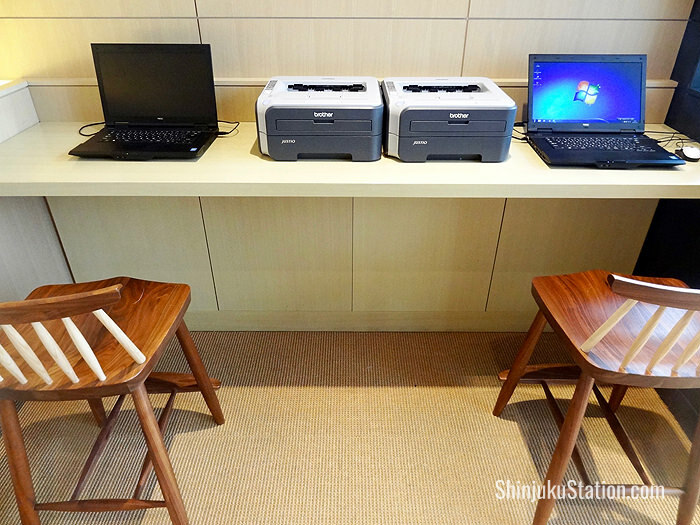 There’s a wooden frame on the façade, camphor laurel wood number plates for the guest rooms, a polished wooden floor in the lobby, and wooden furniture from Kyushu in the small lounge near the beautifully lit front desk. The hotel has 239 rooms, mostly singles and twins, ranging in area from 18 to 38 square meters. Single rooms have 1.4-meter-wide queen beds, while the double rooms have 1.6-meter-wide queens. 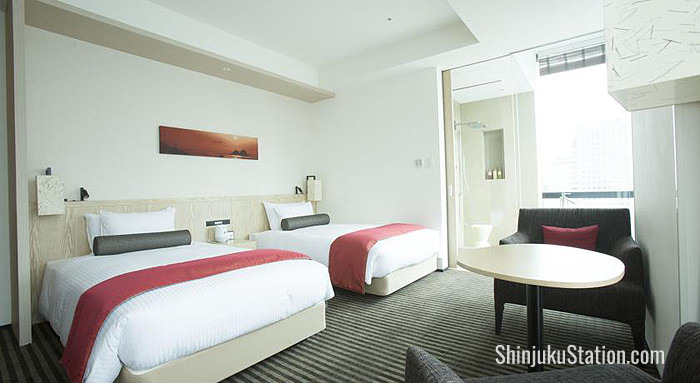 The Premium Twin rooms on the 15th and 16th floors have deep-soak bathtubs with views of Shinjuku. The rooms feature floor-to-ceiling windows, Simmons pocket coil mattresses, air purifying humidifiers and Wi-Fi. There’s a women-only floor and nonsmoking floors, as well as vending and laundry machines. 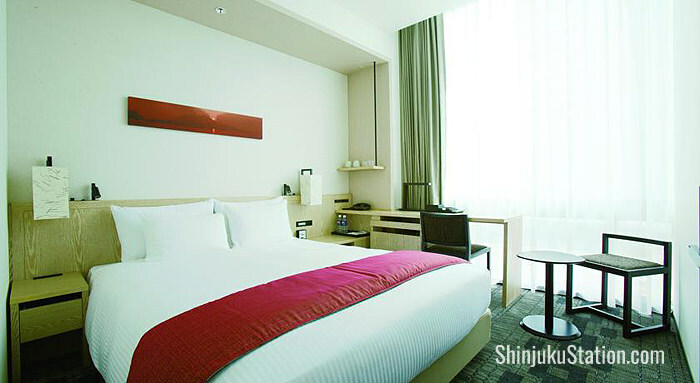 Guest rooms are done in a red-white color scheme and feature artwork themed on Kyushu nightscapes. Hasami teacups are another example of the hotel’s décor reflecting the traditions of Kyushu, Japan’s southernmost main island. 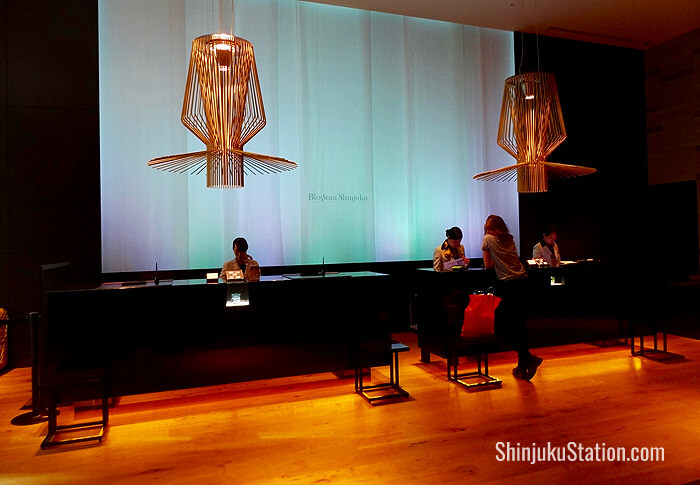 Sculptures and paintings with Kyushu themes adorn the lobby and other parts of the hotel. On the first floor, Umaya offers a buffet breakfast mixing Japanese and Western cuisine, with lunch and dinner focusing on dishes with ingredients sourced in Kyushu.